What factors are impacting the aluminum industry and what publicly traded companies exist in the aluminum space? Learn the answers in this investment guide. China is the world’s largest producer of aluminum, but supply from the Asian nation has faced restrictions lately. On June 20, Bloomberg reported that China’s largest aluminum smelter will be cutting its capacity by 250,000 MT annually. The country is planning to restrict production as part of the government’s Winter 2017 Air Quality Pollution Prevention Plan. Under the plan, aluminum industry producers in 28 cities are reducing their aluminum output by over 30 percent. China’s aluminum market is also facing external pressure. In April, the US Department of Commerce launched a trade probe to investigate whether Chinese aluminum imports pose a threat to the country’s national security. Government officials said only one US firm produces the high-purity aluminum used for American combat aircraft. The probe could lead to the US imposing tariffs on aluminum imports. Concerns about Chinese supply have caused aluminum to outperform other metals on the LME. As of June 28, aluminum was trading at $1,861 per tonne on the exchange. In May, Goldman Sachs (NYSE:GS) said it expects aluminum prices to rise to $2,000 in six months and to $2,100 in 12 months. Similarly, major Norwegian aluminum producer Norsk Hydro’s (OTCMKTS:NHYDY) share price has risen 16.53 percent year-to-date, while Aluminum Corporation of China’s (NYSE:ACH) has gained 25.37 percent. The share price of Century Aluminum (NASDAQ:CENX), which US Commerce Secretary Wilbur Ross recently identified as the sole producer of aluminum used for US fighter jets, has gained 86.8 percent in 2017. 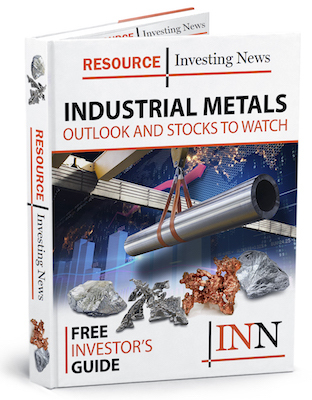 China Hongqiao Group (HKEX:1378), which is the world’s largest aluminum producer, has seen its share price gain 3.37 percent year-to-date; meanwhile, Rio Tinto (NYSE:RIO,LSE:RIO,ASX:RIO), which has aluminum operations in eight countries, has enjoyed a year-to-date share price increase of 6.66 percent.